Review: After the second book, I wasn't sure what to expect with this third and final installment. I'm happy to say this was great on almost all fronts. 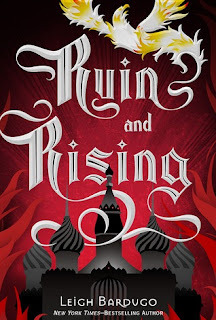 I loved the third amplifier storyline, Alina and Mal were likable again and we had more Nikolai, yay! The only thing I wasn't thrilled with was the ending (it was a too 'red bow' for me) but overall, a satisfying read.